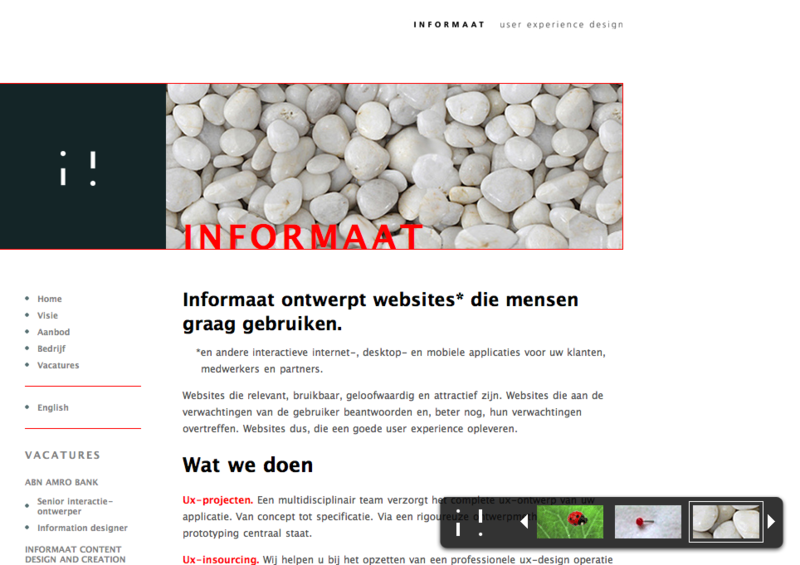 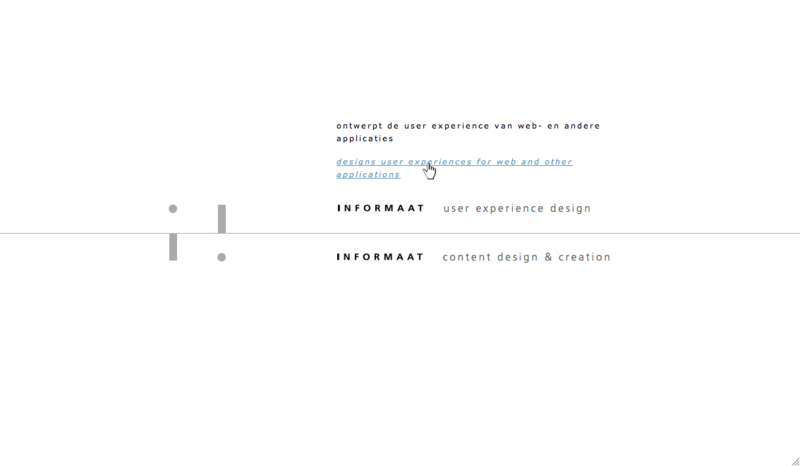 Informaat is specialised in User Experience. 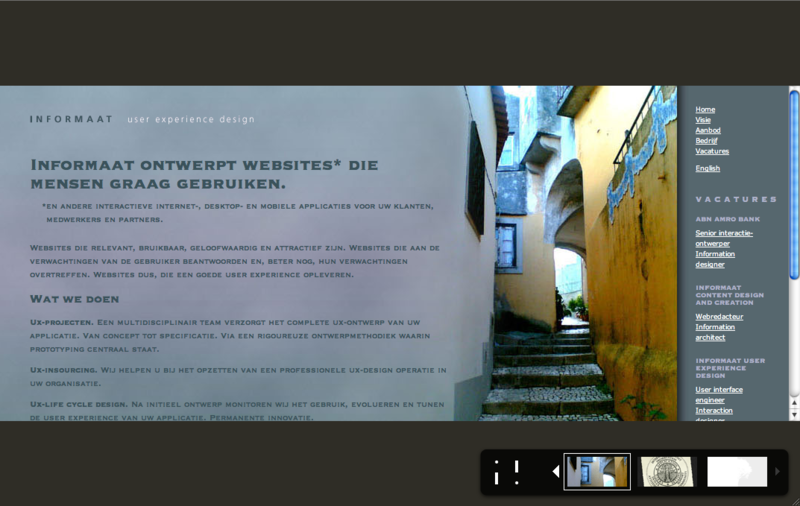 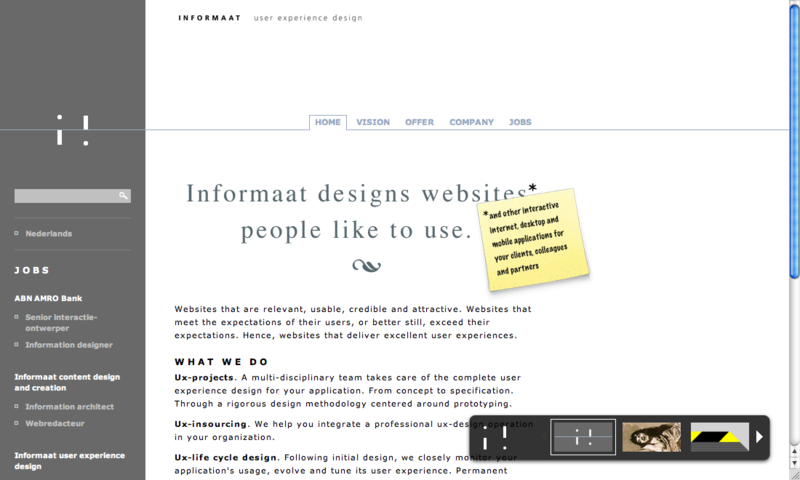 One of the treats of this website was that the designers were allowed to send in their own visual styles as a CSS package. 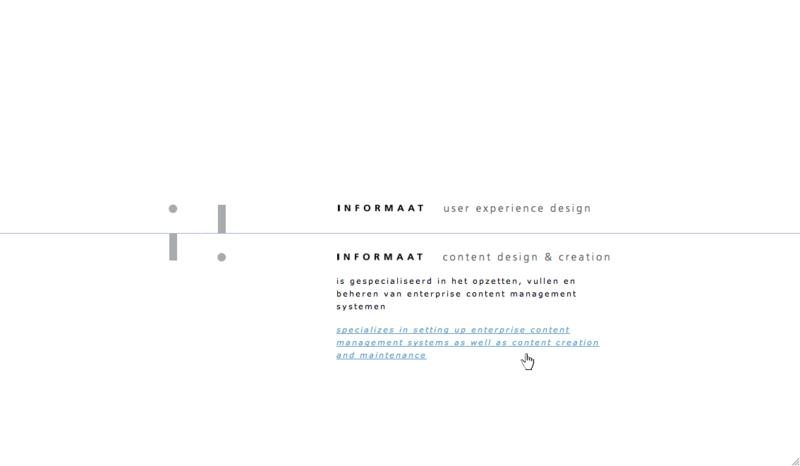 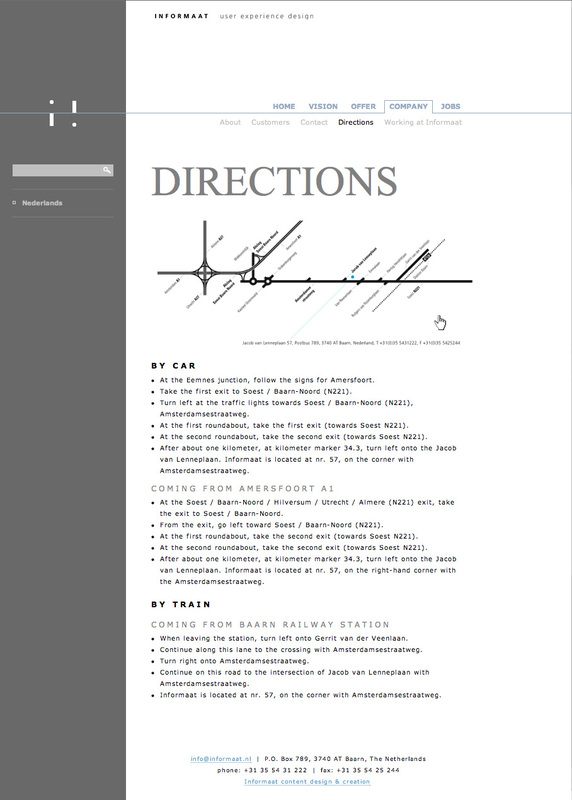 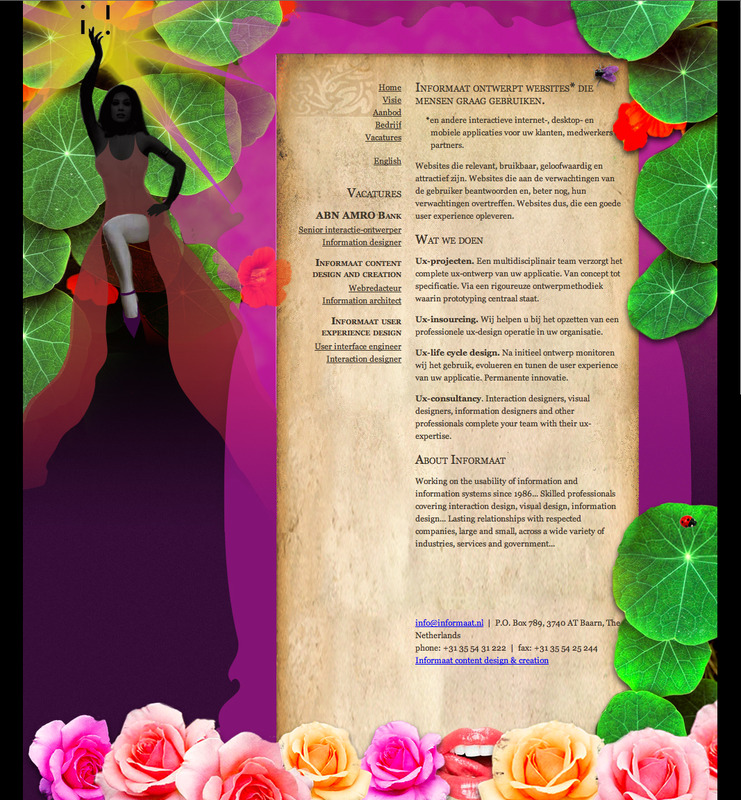 A strict separation of structure and style made sure that the landing page of Informaat User Experience design could be viewed in many different visual styles.